Asset Management Software & Solutions can help you manage and track all your businesses assets and equipment life cycle, with Asset software & solutions you can track the assets you have, where they are, how much they cost as of today, and more. Tracking assets using latest Radio technology like RFID Passive & Active allowed people to track on Real-Time their fixed & mobile assets everywhere inside the company facility. KTC is working closely with international solution providers who help many organizations worldwide on registering, tracking & managing their fixed, IT & mobile assets using latest technology trends. KTC offers xAssets Software on hosted SaaS or locally installed asset management software for mid sized and large enterprises. A flexible, easy and powerful fixed asset management and asset accounting solution. Functions include multi-book depreciation, financials, Barcoding, service desk, integration and maintenance. Multi company, multi currency and flexible configuration options ensure customer requirements, local tax compliance and international standards are met. The complete solution to manage, integrate and report on every aspect of the IT infrastructure. Software Asset Management, Asset Life Cycle, IMACS reporting, Contract Management and Leases with further options for Network Discovery and Service Management. Ultra fast, zero impact, scalable network discovery with no agent deployment and no compromise the depth of discovered information. Centralized ITAM repository with Integration to Active Directory and other IT apps to get a holistic view of all IT equipment. Includes Software Asset Management, IMACS, integration and hardware inventory. xAssets Software Discovery Service is a low cost Hosted Solution offering the fastest agentless way to establish Software License Compliance. It is used by companies of all sizes, the SIIA, and Microsoft Large Account Resellers for licensing true-ups. xAssets takes care of the entire service and no SAM expertise is needed from the customer. 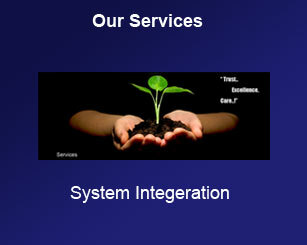 Service Management is an option in our IT asset management solution. Deliver higher quality end-to-end process driven IT service management with fast resolution by directly connecting all incidents, changes, requests, alerts, notifications and problems into the IT Asset Infrastructure. KTC offers a broad range of scalable Real Time Locating Systems (RTLS) used to generate accurate, real-time information about the physical location and status of your asset. Learn about the wireless hardware and real-time software components that make up each of these main types of passive/active RFID technology from KTC RTLS Tracking Solutions. KTC can supply the necessary Hardware, Software, Tags & System Integration services with full range of product covering the short & long reading range for fixed & mobile assets. We can help our customer to identify their requirement and design the adaptable solutions based on their needs.